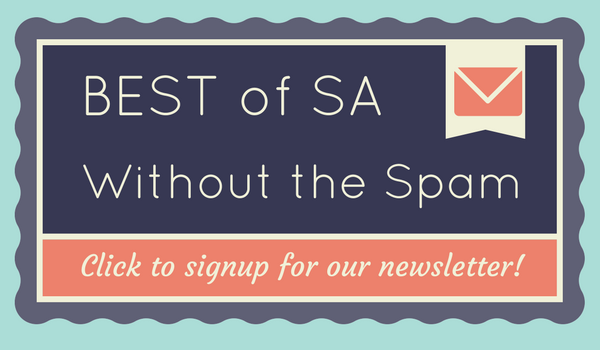 If there’s one event that you go to at the San Antonio Cocktail Conference, it’s gotta be the Waldorf on the Prairie. Set at the elegant St. Anthony Hotel, this is the event to see and be seen during the Cocktail Conference. Love the elegance of The St. Anthony Hotel. 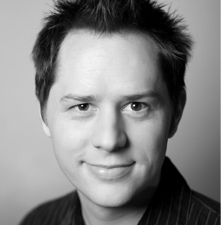 Photo by Matthew Niemann. Since we don’t really have black-tie attire, Garrett decided to jump into this event with a Western styled shirt that featured calaveras. I mean it is called Waldorf on the Prairie after all. When you don’t have black tie attire, you rock the vintage Western wear! Photo by Matthew Niemann. 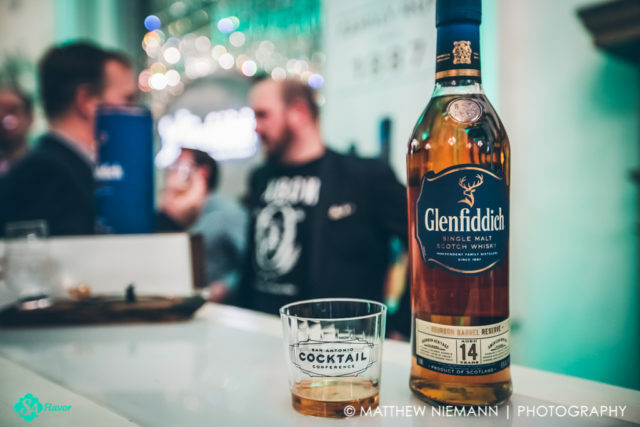 With top shelf spirits—like bourbon barreled Glenfiddich or Gran Patron—you find yourself in a balancing act between cocktails and neat pours. Here’s some of my impressions of the evening, including a couple of after parties that were incredible. 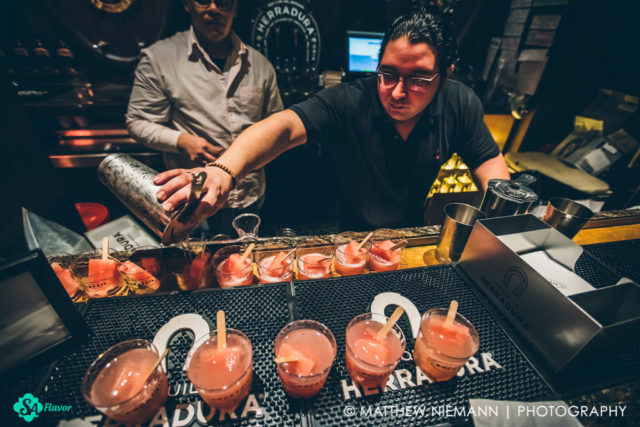 My favorite cocktail of the night was the Herradura Paleta Paloma—it was made with Herradura Blanco tequila, ruby red grapefruit juice, Jarritos grapefruit soda and finished with a watermelon paleta. I will try to find a way to recreate this cocktail with some paletas from SA Pops this summer! Best cocktail of the night! Totally using paletas in a summer drink this year! Photo by Matthew Niemann. The best food came from Sichuan House and was really a fun experience. There were three containers: cold noodles, sweet and spicy peanuts and cucumbers with garlic. 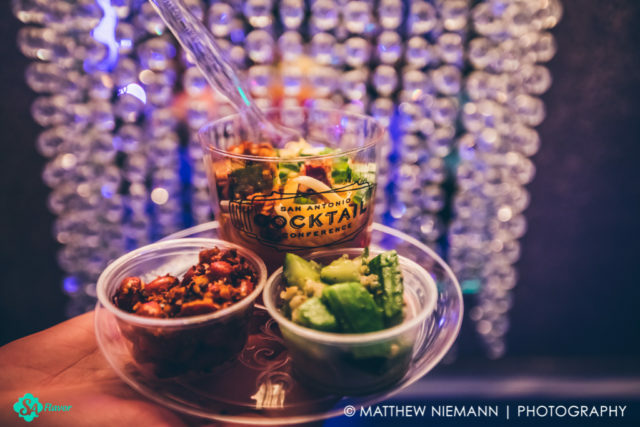 Mixing all three of the items together resulted in a spicy and savory dish that had a little bit of salt to replenish those electrolytes after a night of drinking. While it was a multi-step appetizer, these noodles were outstanding! Photo by Matthew Niemann. Patron took over the entire space right outside the hotel where you get your car valeted. 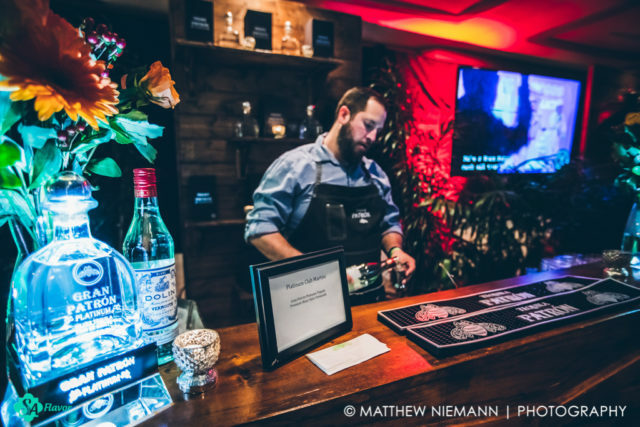 While there were a couple of stations that featured the Roca Patron product, my eyes immediately went to the Gran Patron booth where I promptly had the spirit poured neat. Gran Patron flowing like water! Photo by Matthew Niemann. I was impressed with this year’s signature cocktail, the High-Jinx. A Scotch-based cocktail made with Monkey Shoulder, the drink was flavorful, fruity and easy to drink. 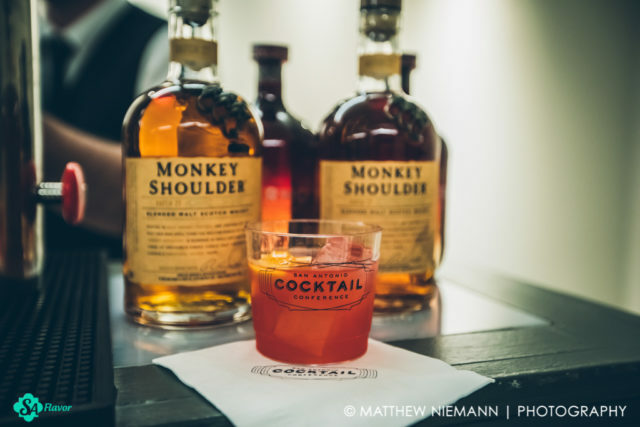 The “High-Jinx” made with Monkey Shoulder, the signature cocktail of 2017. Photo by Matthew Niemann. 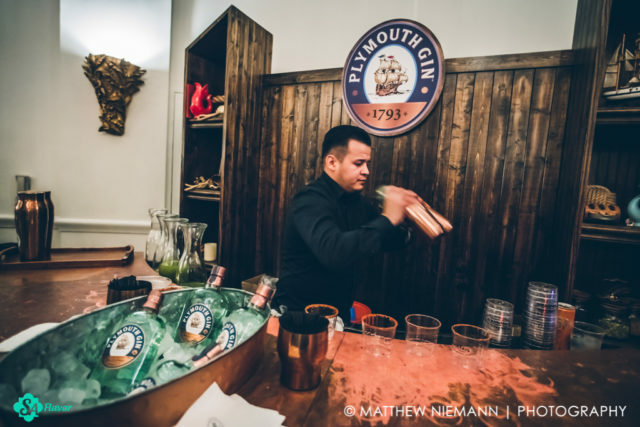 Plymouth Gin played into the San Antonio scene with a take on a cucumber aqua fresca. It had the botanicals from the gin mixed with cucumber and lime juice and a chile/salt rimmed glass. Even though it looked like some kind of healthy shake, it tasted awesome. Shaking up an alcoholic agua fresca. Photo by Matthew Niemann. 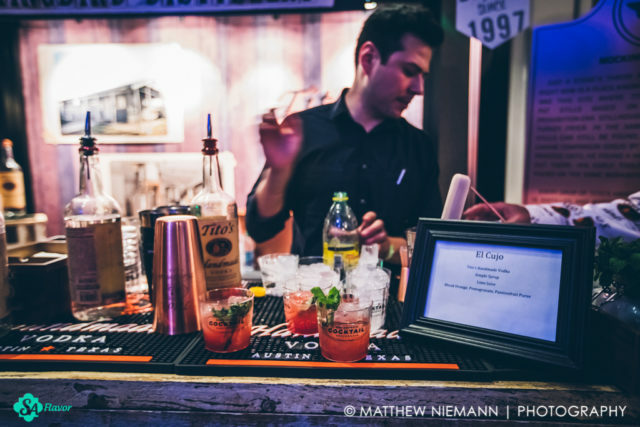 Tito’s must have sensed the warm weather that we were blessed with at the conference and served an incredible drink called El Cujo. Made with Tito’s vodka and juices from limes, blood orange, pomegranate and finished with Topo Chico, this was a solid drink for a South Texas Summer Day. I was surprised by this Tito’s Cocktail and will have to try to figure out how to make it. Photo by Matthew Niemann. The spirit that impressed me the most was the Glenfiddich bourbon barrel finished Scotch. It was definitely bourbon on the nose with a strong vanilla taste but finished with a very Scotch taste; I found it to be a very interesting whiskey and noticed some familiar faces went I went back a couple of times. My favorite spirit of the evening. Photo by Matthew Niemann. This band was awesome and these ladies had some pipes! Photo by Matthew Niemann. 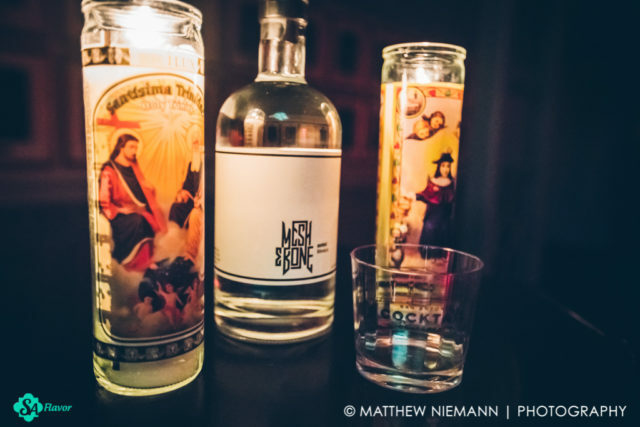 We then made our way up to the library for a special after party at the St. Anthony with Mesh & Bone, a company that specializes in bringing obscure liquors to the market, such as Sochu (a Japanese liquor drank with a melon) and Sotol (a cousin to tequila). The enigmatic owner of the company declined to be photographed and wasn’t really interested in marketing his company (the website and label feature a prominent white box, without any cliched branding) and was there just having a fun time. 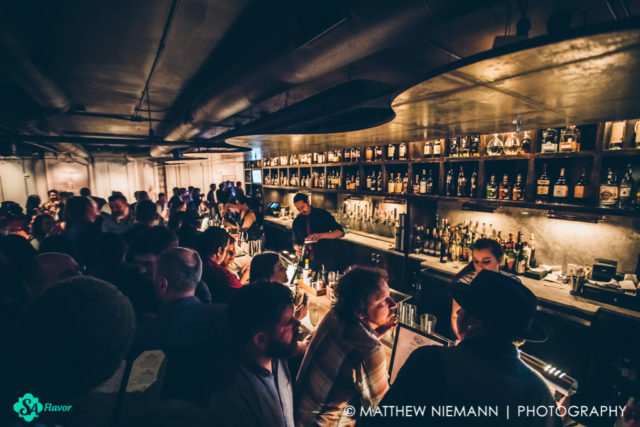 As crowded as the party downstairs was, this area was void of people and extremely dark—I felt like I was transported to a mysterious after party in Manhattan. Mesh & Bone threw one of the most chill and mysterious afterparties ever. Photo by Matthew Niemann. And after that after party we made our way to a raucous second after party at The Last Word. This was the place to be all weekend. 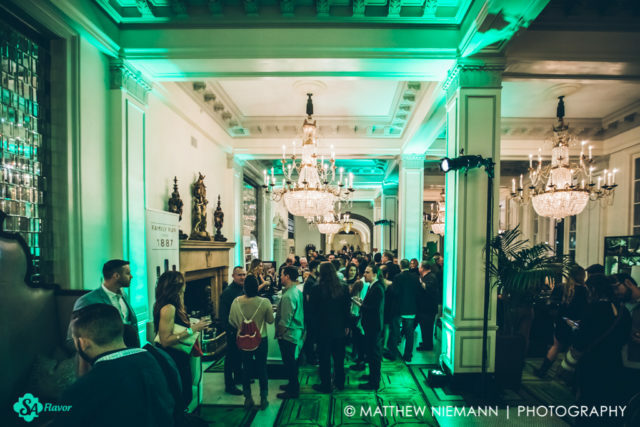 The event was sponsored by Martine Honeysuckle and the bar was packed to the gills with insiders and industry folks. The people at Martine Honeysuckle and The Last Word know how to throw a party! Photo by Matthew Niemann. And let me tell you, the Martine Honeysuckle folks brought it—there were florists making outrageous crowns of flowers for the women (a la the Snapchat filter, only real), there were a couple of typists from Typewriter Rodeo who wrote poems on demand, a sketch artist and a guy with monkeys. And the cocktails made with this floral liqueur were flowing. 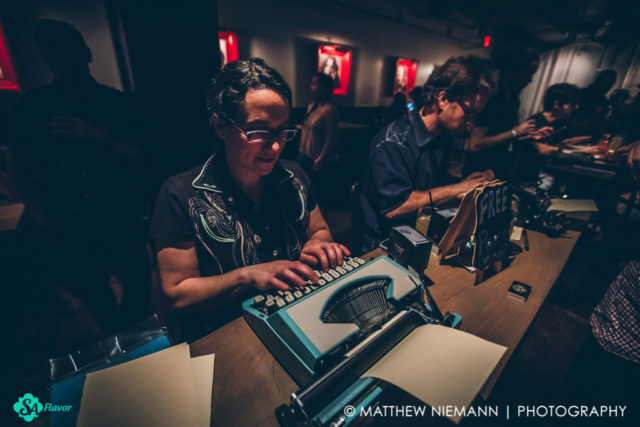 The folks from the Typewriter Rodeo are incredibly clever and quick thinkers. 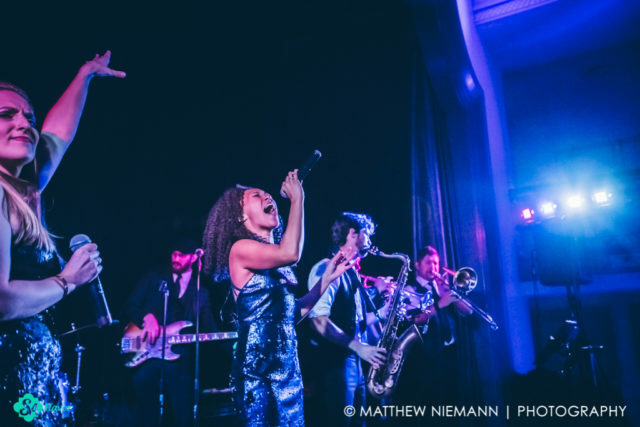 Photo by Matthew Niemann. 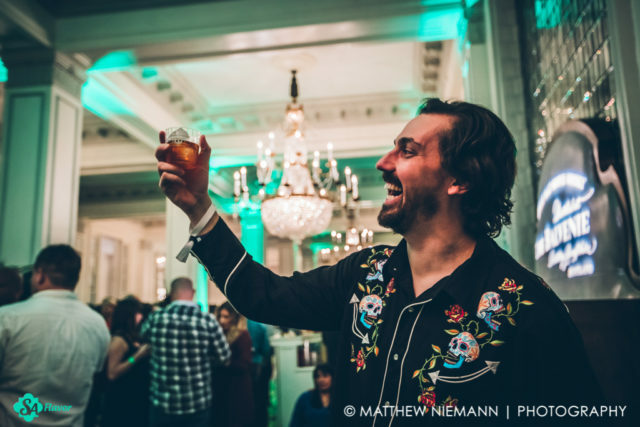 So, make sure you’re at the Waldorf on the Prairie next year—and if you’re savvy, see if your favorite bartender has an inside scoop on some of the parties that go down afterwards. The founder of Matthew Niemann Photography and Aberdeen Studios, Matt enjoys a good whiskey as much as the perfectly framed shot.